A tax and dividend system to tackle climate change could solve the current policy void and quickly transform the industry while not making individuals worse off, writes Warwick Smith. There is a silver lining to the abolition of Australia’s carbon price: the opportunity to do a better job when, inevitably, a new pricing system is established. 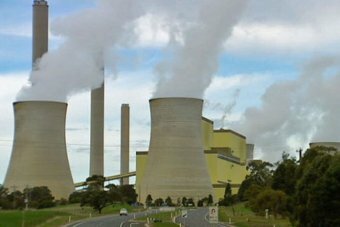 Australian businesses expect a carbon price will be back in Australia in the not-too-distant future. Given the rapidly mounting evidence of climate change impacts already occurring, the policy void of the Abbott Government must eventually be replaced with meaningful climate action. So, what was wrong with the old carbon price? The main problems were to do with complexity, coverage and price. The usual rent-seekers got into the government’s ear and secured overly generous compensation or exemption. Then there was the compensation for households that never seemed particularly transparent. Add to this the federal government’s establishment of the Clean Energy Finance Corporation that combined with the Australian Renewable Energy Agency and the Renewable Energy Target to create an unnecessarily complex policy mess. The idea of a price signal is that it causes behavioural change that leads to fewer emissions. The reason we needed to subsidise renewable energy is because the price wasn’t high enough to achieve a sufficiently rapid switch to low carbon energy production. Indeed, had the scheme remained in place, the price would have fallen substantially. Our emissions trading scheme that was scheduled to take over from the tax would align the price with the European trading scheme where the price has been hovering about $AU10 per tonne. A much higher price is required to produce the deep emission reductions necessary to prevent the worst future impacts of climate change. There has been very little debate about carbon pricing alternatives in Australia. We had a tax that was going to transition to a trading scheme but even the relative merits of these two options has received little attention. There’s another alternative that is often referred to as a tax and dividend system (or fee and dividend if you think tax is a dirty word). The idea is pretty simple, you set a tax rate, say $10 per tonne CO2e, which climbs by $10 each year for maybe 10 years. This tax is charged on all fossil fuels (and other emissions wherever practical), and then you give all of that money back to households. The tax could be rebated at the border for exports. The result is a significant price rise in commodities that are greenhouse gas intensive but also a significant rise in income for all Australians. People will be able to continue to live exactly the way they were if they so choose and be no worse off. However, if they make consumption decisions that reduce their emissions they will be substantially better off, particularly if they are ahead of the pack. Such a system would quickly result in a price high enough for renewable energy to outcompete fossil fuel energy. This won’t mean the immediate death of coal and gas because we simply don’t have the capacity to replace it that quickly. However, it does guarantee that new renewable projects will have a market and the genuine and rapid transition to a fully renewable energy sector will begin. Job losses will occur in sectors no longer competitive but job losses accompany all change and progress. Losing employment can, of course, be tragic for individuals but the reality is that jobs come and go in modern economies at an astonishing rate and we must not use this as an excuse to not take action to prevent climate change. Many jobs will be created in the new low carbon economy as the transition occurs. Alarm bells are ringing everywhere with respect to climate change. Recent observations of craters in Siberia and methane bubbles reaching the surface in the Arctic ocean are indications that some of the more catastrophic climate scenarios may come to pass. If we are to take the evidence seriously, we must take action that inspires quite rapid and radical change. A tax and dividend system for carbon pricing has the potential to achieve this with relatively little pain for the broader population. The truth is that we should all be willing to pay a significant price in order to protect the biosphere from the worst of the impacts of climate change. The reality though is that many people are too short-sighted to make those sacrifices now. The appeal of a tax and dividend approach to carbon pricing is obvious enough in this political and social climate. We can implement a high enough price on carbon to prompt serious economic transformation while genuinely telling people they won’t be worse off as individuals. Warwick Smith is an environmental economist at the University of Melbourne. He blogs at reconstructingeconomics.com and tweets @RecoEco. View his full profile here. This entry was posted in Australian politics, climate change, tax economics and tagged climate, Economic policy, environment, taxation policy, The Drum. Bookmark the permalink.